Property 1: Beau Vista Pohora - views to die for! 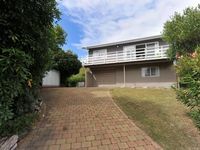 Property 12: Modern 'Kiwi Bach' Style Holiday Home So Close to the Beach! Modern beach House - loved by all who stayed! 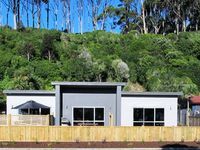 Property 16: Modern beach House - loved by all who stayed! Property 23: Ligar Bay - Beachaven Cottages (front). Kayaks, WiFi, Virtually Beachfront. Property 26: 3 BEDROOM HOUSE IN PERFECT LOCATION! Property 46: The lodge that isn't a lodge! The Laidback Lodge! Thank you for a lovely break. Hope we left it as lovely as we found it.